I would love to get your take on how that you train setters. From day 1 to day whenever. I’ve been training setters for a while but I would love to have a different idea of what others do to make a setter (I like the thought that setters are born rather than made but hey, its not always like that, haha.) From Feet to Hands. Setter training is a lengthy subject, so I thought to address the question as a sequence of posts rather than to try to just tackle it all in one go. Let me start with the question of identifying good setter prospects. It’s a classic joke that setters are the short players who aren’t really tall enough to be effective hitters. Certainly, this sort of identification process (if you can call it that) has been used. It probably still does in some places to this day. Needless to say, this is hardly the best approach to take, which at least some folks have figured out. There’s a lot that goes into being a good setter. Here are my thoughts on the subject. For any team running a 5-1 offense, there is a decided benefit to having a tall, left-handed setter. Height means the setter isn’t a blocking liability (could be an asset in the case of someone like former US National Team setter Lloy Ball). Being a lefty means the setter can be an attacking option on the second ball, which keeps the opposing defense honest and creates problems for the block. For systems which rely on back-row-only setters (like many 6-2 offenses), these attributes are much less significant, though a bit of height to save tight passes on the net certainly comes in handy still. All setters, no matter the offensive system, need to be quick on their feet. No doubt the immediate thinking there is that they need to be able to run down shanked passes, but even in teams where that isn’t as much of a problem, a quicker setter will be able to set from a stable position more often than a less quick one simply by getting to the ball with more time to prepare and execute. That stable position means more accurate and consistent sets. You will often hear coaches debate the question of whether you want to prioritize good hands or good feet when picking a setter. My personal view is that if a player can’t get to the ball then it’s not going to matter how good their hands are at all. Others make the argument that good hands can make up for poor feet, which certainly is true. I think, however, that hands are a skill that can be developed. Quick feet are much more an inherent ability, though certainly improvements can be made. It is important for the setter to know what’s going on around them – both on their side of the net and the other. They need to see what their hitters are doing and how the block is positioned. This is largely a function of peripheral vision, but also of knowing match situations and being able to read developments. The mental part of setting is the one that most often gets overlooked by coaches when picking a setter. They see physical attributes like good hands and think that automatically translates into good setter material. This is not always the case. however. The ability to read the game, know what’s going on, anticipate plays, and make quick, decisive decisions are all key features for the setter position. 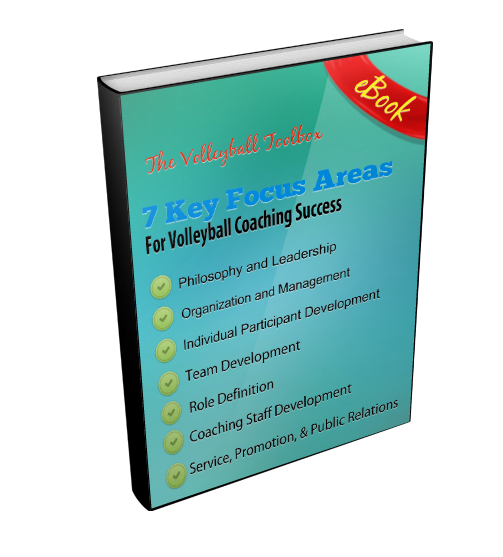 Your team is going to struggle if the setter lacks in any of these areas. The setter also needs to not be a “diva”. Setting is inherently a quite selfless position as it’s about giving others the glory of the score. The setter also needs to be a fairly stable personality. They cannot be prone to roller-coaster emotions. A player who lacks the mental side of the setting position is someone who sets rather than a proper setter. The setter is in the middle of everything in volleyball. While they do not need to be team captain, they do have to be someone the other players respect. That can come about in a lot of different ways. Some setters are vocal and overt leaders. Others are more quiet in demeanor, but project their influence anyway. Because the setter is being looked at by the rest of the team all the time, they have to be a consistent presence on the court, making good decisions, staying calm when things get crazy, and communicating effectively with their hitters. Not all of these attributes are ones we coaches can pick up on right away, of course. It’s easy to see the physical attributes through observation in drills and the like. The mental and leadership aspects take a bit more time to assess, however. Still, we need to make the effort as best we can, not just to find good setting prospects, but also to identify developmental needs in the setters we’re looking to bring along. These are just some of my own thoughts. I’d love to hear others’ views. In terms of specific areas. Here’s what I look at for setters in terms of target position, hand placement, weight transfer, and pushing the ball out. Coach Forman has coached US college volleyball for many years, as well as coaching and running a Juniors program, and got his start at the high school level. He was a very successful coach at both the university and club level in the U.K., and also coached professionally in Sweden, as well as having worked with pro teams in Germany.